Don’t wait any longer to attend the events in the Sportpaleis Group venues! In the different Sportpaleis Group venues (Antwerps Sportpaleis, Lotto Arena, Ethias Arena, Forest National, Stadsschouwburg Antwerpen, Capitole Gent, Ethias Theater Hasselt) nice discounts are very often offered to groups of 20 or more. Sometimes, we also have group benefits for events not taking place in the Sportpaleis Group venues. Check out our offer below. Would you like more information about our group benefits? Please feel free to contact us if the event of your choice is not listed. You can place options for the best available places. You will then have enough time to promote your chosen show to your members. Afterwards, you only pay for the tickets you have finally reserved. In many cases, you benefit from an attractive group discount (varying from show to show): for some shows there is a group discount from a minimum of 20 people, for other shows this can be from a minimum of 50 people and for some events it can happen that there is no group discount. As a group you always sit together. Within the organisation, you only have one contact person for all answers to your questions. This one fixed contact person provides you with a personalized group service. Groups of less than 20 people can order their tickets via Tele Ticket Service by phone. Groups up to 10 people can also order online via the ticket link on the event page on this website. 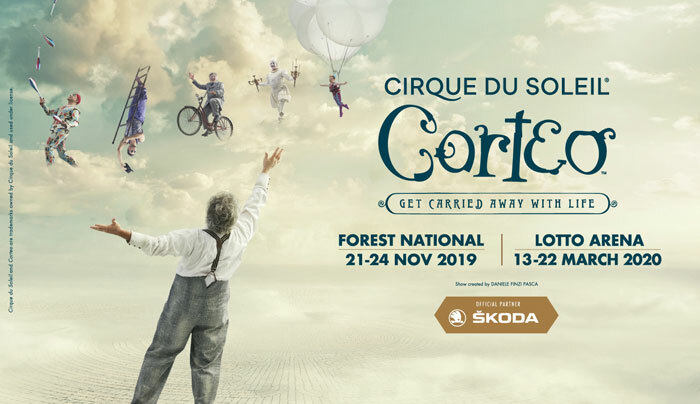 Corteo is Cirque du Soleil’s most magical arena production. It is an unseen theatrical, festive procession full of fun, humour and spontaneity in a mysterious place somewhere between heaven and earth. This unique production was directed by Daniele Finzi Pasca and premiered in the Big Top in April 2005. Since then, the show has enchanted more than 8 million people in 19 countries on 4 continents. The cast of Corteo consists of 51 acrobats, musicians, singers and actors from all over the world. Europe’s most popular family entertainment show with horses is returning, and will now be performing for the second time under its new brand name of “CAVALLUNA” in Antwerp. 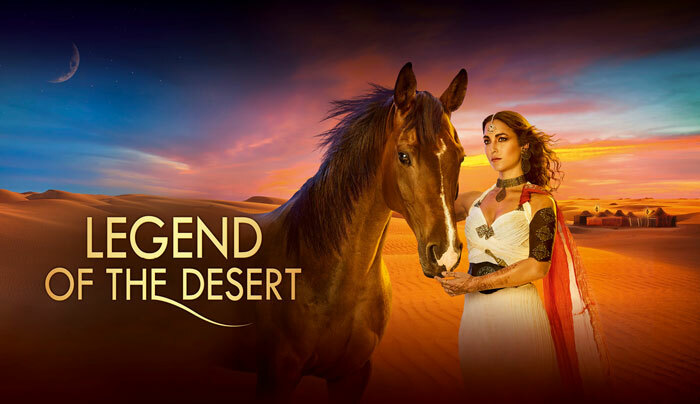 CAVALLUNA – Legend of the Desert is a dazzling spectacular of completely new dimensions, featuring Europe’s most beautiful horse breeds. The magical scenes are accompanied by breathtaking performances in which human and animal work together in perfect harmony. Enjoy this fantastic symbiosis of equestrian skills, acrobatics, dance and music.